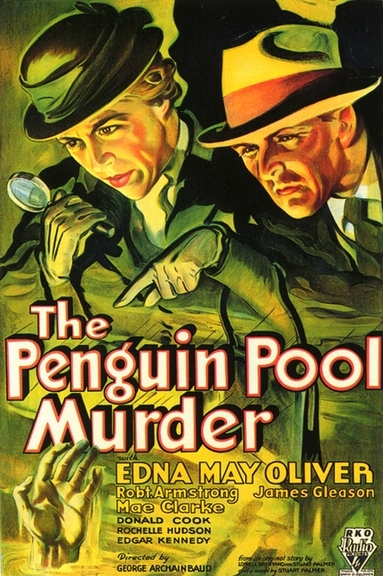 RKO Pictures launched what could have been one of the great detective series in 1932, when Edna May Oliver starred in “The Penguin Pool Murder”. 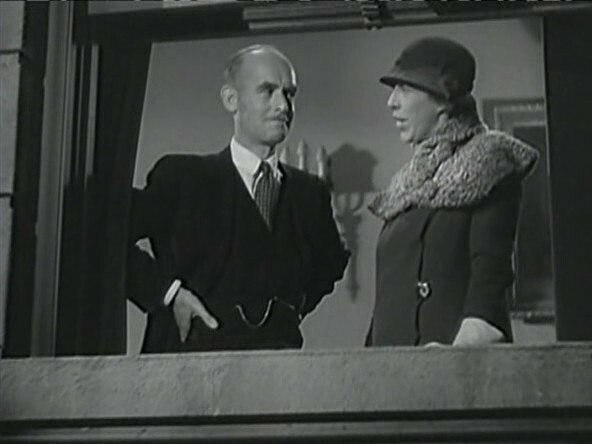 As Stuart Palmer’s elderly schoolteacher turned sleuth Hildegarde Withers, Oliver was one of the screen’s most liberated women, defying Police Inspector Oscar Piper (James Gleason) to track down killers with little regard for his pride or her own safety. 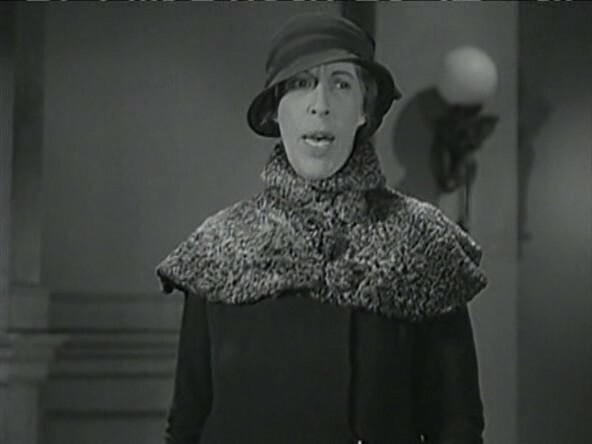 Although Oliver left the series after only two more installments, leading to a serious decline in quality for the films, her first two outings in particular were years ahead of their time, thanks to director George Archainbaud’s uniquely visual narrative skills and for the films’ depiction of an older, independent woman. Withers first appeared in the novel “The Penguin Pool Murder” in 1931, the latest in a long line of elderly female detectives that dates back to Miss Amelia Butterworth, a character created by Anna Katherine Greene in 1898. She would be followed by Rachel Innes in Mary Roberts Rinehart’s “The Circular Staircase” (1908) — better known by its stage and film title, “The Bat” — and Agatha Christie’s Miss Marple, who made her first appearance just a year before Withers. Drawing on his background as a private detective, Palmer wrote novels and short stories about the character for more than two decades. At the time RKO filmed “The Penguin Pool Murder”, they had the perfect Hildegarde Withers under contract, character actress Edna May Oliver, who had won acclaim for her supporting role in the Oscar-winning Western “Cimarron” (1931). As her partner in crime solving they cast another veteran, James Gleason. Their affectionate sparring was so effective the studio even had them get married at the end. Director George Archainbaud kept the action moving briskly, as he would on the Western films and television series he would specialize in decades later. He also added an innovation that would remain unnoticed for years; several of the sets had ceilings prominently featured. In that, he anticipated Orson Welles’ work on “Citizen Kane” (1941) by almost ten years. 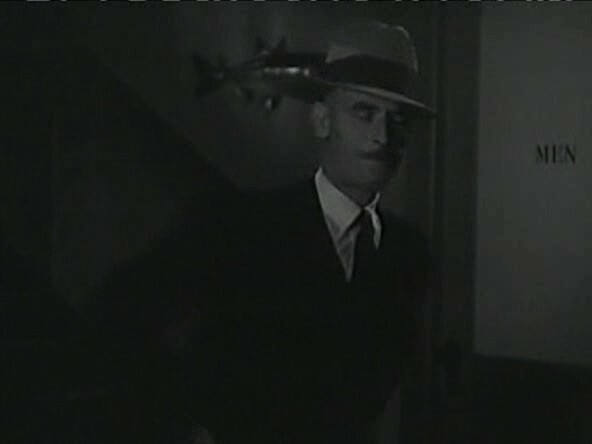 “The Penguin Pool Murder” did well enough to inspire a sequel, “Murder on the Blackboard” (1934), with the same stars, director and writer two years later. 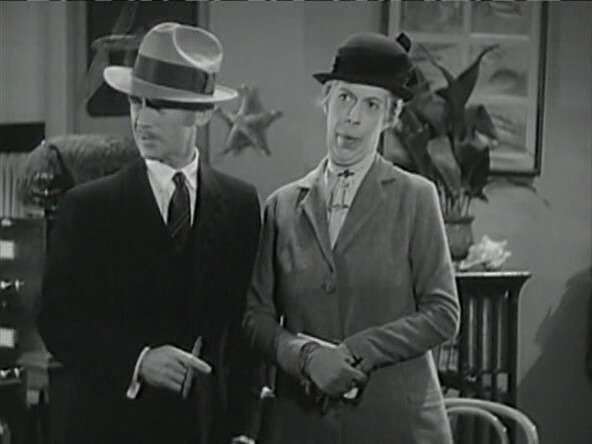 Deciding that Withers and Piper worked best as friendly antagonists, studio executives decided to disregard their marriage at the end of the previous feature. Oliver would star in one more Withers film, “Murder on a Honeymoon” (1935), with Gleason but without Archainbaud. 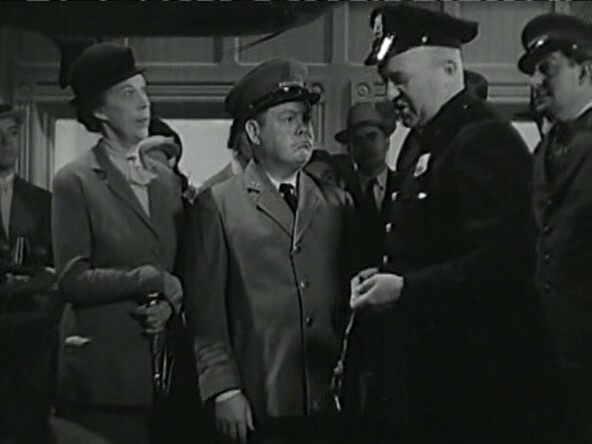 When she left RKO later that year, the studio would try to keep things going first with Helen Broderick and then Zasu Pitts in the lead. But neither was as perfectly cast as Oliver, and the series died after only six films. That hardly marked the end of the road for Withers, however. MGM adapted Once Upon a Train, co-written by Palmer and Craig Rice to team Withers with Rice’s hard-drinking lawyer detective John Malone, in 1951. But they transformed the schoolteacher sleuth into a Montana housewife played by Marjorie Main for “Mrs. O’Malley and Mr. Malone”. In 1971, ABC would produce “A Very Missing Person”, a pilot for a Hildegarde Withers TV series starring Eve Arden, but decided not to pick up the project. None of these pretenders to the chalkboard could compare to the original, however. Whenever “The Penguin Pool Murder” airs on television, it attracts new members to its devoted cult of fans. The Aquarium seen in the film was the New York Aquarium in Battery Park on the southern most tip of Manhattan Island. It originally was a fort, Castle Clinton, during the War of 1812. 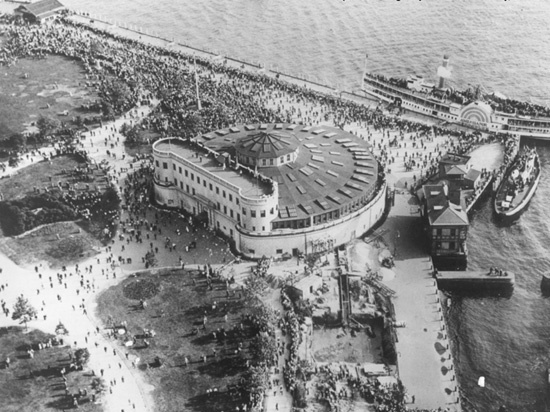 It was later renamed Castle Garden and was an entertainment center, then an immigrant landing depot before becoming the New York Aquarium in 1896. Due to underground construction of the Brooklyn-Battery Tunnel in 1941, the Aquarium was closed and the animals were moved temporarily to the Bronx Zoo and then eventually to the new and current New York Aquarium in Coney Island in 1947. Saved from demolition in 1946, the Castle was restored to its original look as a fortification and serves not only as a museum, but the ticket office for the Statue of Liberty and Ellis Island ferry. The fort built to keep out the British now serves to welcome all to America.